Charlie received his B.S. in Business Administration, his Juris Doctor and LLM in Taxation from the University of Alabama. He is admitted to practice in Alabama, the U.S. Tax Court, and the U.S. District Court for all Districts of Alabama. He is a former Captain USMCR and is a member of the American Bar Association, Section of Taxation, Tax Exempt Organizations Committee, Venture Capital Club of the Birmingham Regional Chamber of Commerce, and former National President of United Cerebral Palsy Associations, a national charity, and a member of the Board of UCP Research & Educational Foundation, headquartered in Washington, D.C. Charlie is also a member of the Birmingham Bar Association and the Chair of the Alabama State Bar Lawyer Referral Service board of trustees. He served as a Military Judge and was awarded the Navy Commendation (with combat V) medal for his service as a Trial Attorney in Vietnam. 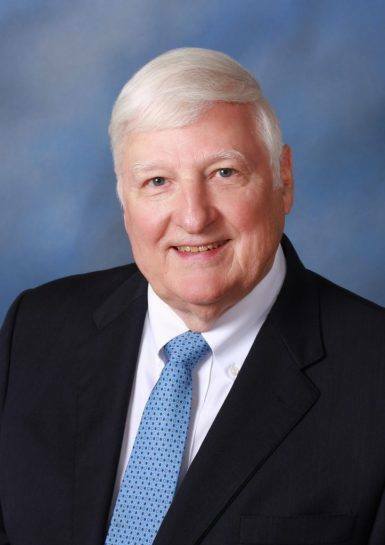 He is a founding member and Secretary and Treasurer of an Alabama malpractice mutual insurance company and serves on boards of many other companies. for large and small enterprises, reorganizations, business contracts and benefit planning, sales and acquisitions of businesses. Coordination of his expertise in the tax code, Uniform Commercial Code, real estate law, and bankruptcy code allows him to provide a broad range of planning services to businesses, as well as to provide opinions in connection with national transactions. His clients are engaged in professional practices, businesses of manufacturing, publishing, insurance, advertising, engineering, construction, land development and the healthcare industry. U.S. Marine Corps Reserve (Inactive), commissioned Captain, served as Military Judge, and awarded Navy Commendation (with combat V) for services as trial attorney in Vietnam.